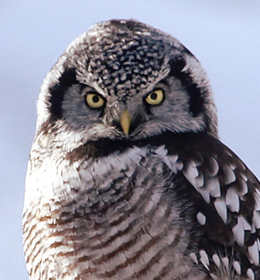 Alberta's portion of the boreal forest comprises 8% of the entire forest and is larger than Sweden. 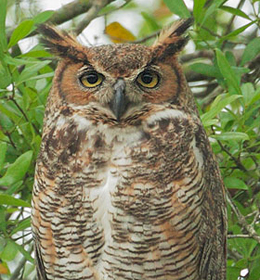 The Great Horned Owl is Alberta's provincial bird, and an estimated 13% of the species' North American population breeds within the boreal forest. 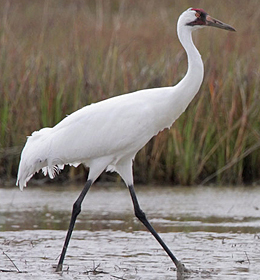 The Peace-Athabasca Delta, a globally recognized freshwater delta, supports more than 2 million waterbirds that breed and migrate throughout the region, including species of concern such as Whooping Crane, Tundra Peregrine, Bald Eagle, and Osprey. 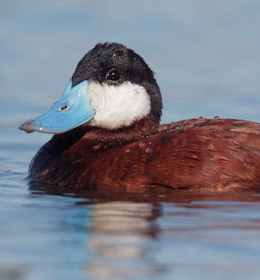 Vulnerable waterfowl species that breed within the delta include Northern Pintail, Canvasback, Redhead and Lesser Scaup. 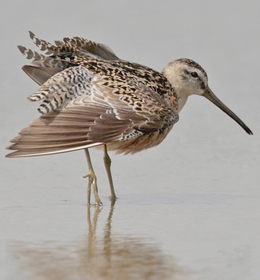 Alberta is also the breeding ground for 80 to 240 million birds of more than 200 species, including Short-billed Dowitcher, Bay-breasted Warbler, Common Redpoll, and Rusty Blackbird. 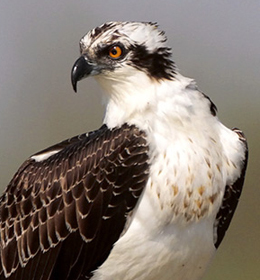 British Columbia's portion comprises 5% of the boreal forest and is larger than the United Kingdom. 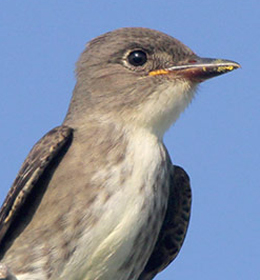 It's the breeding ground for 50 to 150 million birds of approximately 170 species, including the Olive-sided Flycatcher, Canada Warbler, Blackpoll Warbler, Northern Hawk-Owl, and Rusty Blackbird. Manitoba's portion is larger than France and comprises 10% of the entire forest. 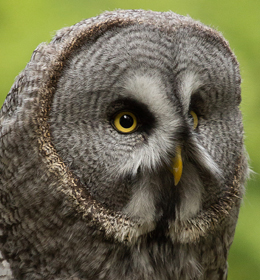 It is home to the Great Gray Owl, Manitoba's provincial bird, and an estimated 83% of the North American population of Great Gray Owl breeds in the boreal. 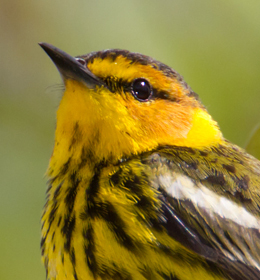 It is the breeding ground for 100 to 300 million birds of over 250 species, including threatened species such as the Yellow Rail, Canada Warbler, Ross's Gull, and Olive-sided Flycatcher. Newfoundland and Labrador's portion is larger than Germany and comprises 7% of the boreal forest. 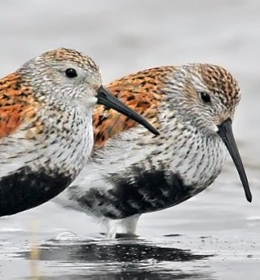 They provide the breeding ground for 70 to 200 million birds of more than 150 bird species, including the Harlequin Duck, Olive-sided Flycatcher, Bay-breasted Warbler, and Rusty Blackbird, as well as stopover areas for Dunlin and many other birds. 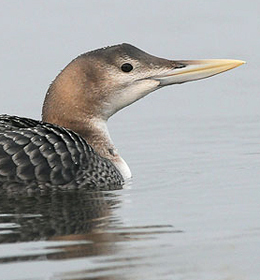 The Northwest Territories' portion of the boreal is more than three times the size of the United Kingdom and comprises 17% of entire forest. 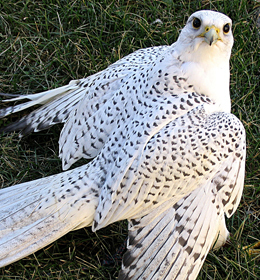 It's home to the Gyrfalcon, the Northwest Territories' official bird, and an estimated 25% of the species' North American breeding range lies within that area. 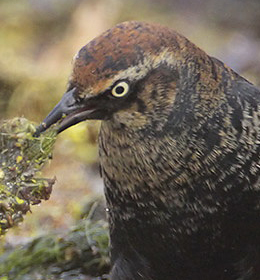 It's the breeding ground for 150 to 500 million birds of more than 200 bird species, including the White-winged Scoter, Whooping Crane, Short-billed Dowitcher, Blackpoll Warbler, and Rusty Blackbird. 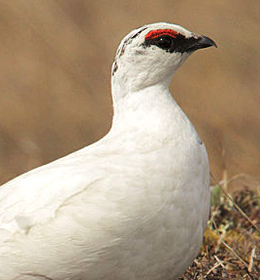 Nunavut's portion of the forest is larger than the state of Maine and comprises 2% of the boreal forest. 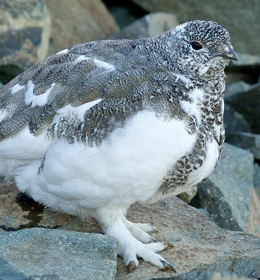 It's home to the Rock Ptarmigan, Nunavut's official bird, and an estimated 30% of the species' North American breeding range lies within the forest. 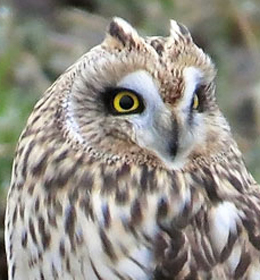 This is the breeding ground for millions of birds of approximately 85 species, including the Yellow-billed Loon, Short-eared Owl, and Harris's Sparrow. The portion of the boreal forest that lies within Ontario is more than 1½ times larger than France and comprises 15% of the entire forest. 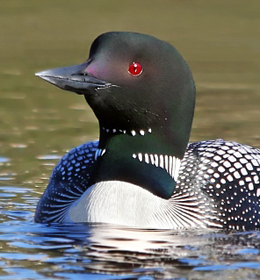 It is home to the Common Loon, Ontario's provincial bird, and an estimated 74% of the species' North American population breeds within the boreal. 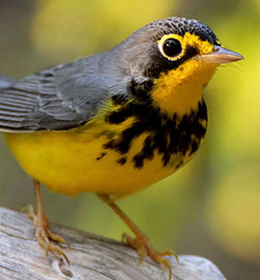 It is the breeding ground for 200 to 400 million birds of more than 250 species, including threatened species such as the Yellow Rail, Canada Warbler, and Olive-sided Flycatcher. 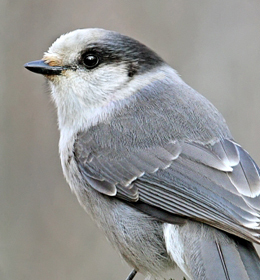 Quebec's portion of the boreal forest is twice the size of France and comprises 21% of the entire boreal. 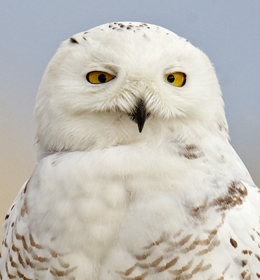 It is home to the Snowy Owl, Quebec's official bird, and an estimated 11% of the species' North American breeding range lies within the forest. 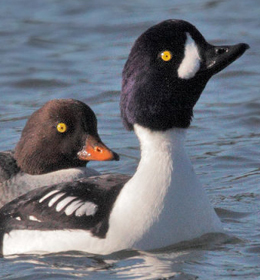 It is the breeding ground for 300 to 500 million birds of 180 species, including threatened species such as the Harlequin Duck, Barrow's Goldeneye, Canada Warbler, and Olive-sided Flycatcher. 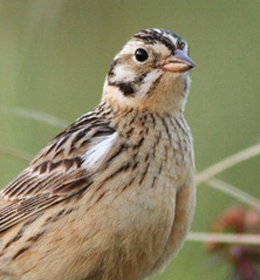 Saskatchewan's portion of the boreal is larger than Germany and comprises 7% of the forest. 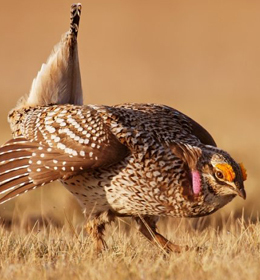 It is home to the Sharp-tailed Grouse, Saskatchewan's official bird, and an estimated 8% of the species' North American population breeds within the boreal forest. 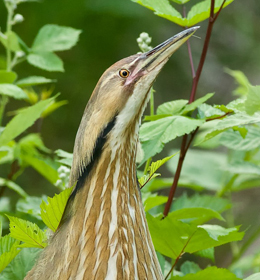 It is the breeding ground for 70 to 200 million birds of more than 175 bird species, including the Yellow Rail, Olive-sided Flycatcher, Bay-breasted Warbler, Ruddy Duck, American Bittern, and Rusty Blackbird. 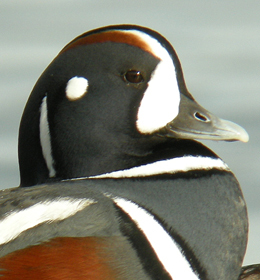 Yukon's portion of the boreal forest is larger than Sweden and comprises 8% of the entire forest. 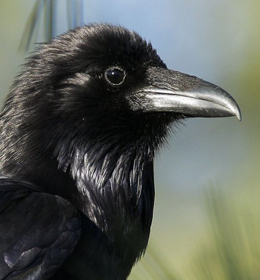 It is home to the Common Raven, Yukon's official bird, and an estimated 23% of the species' North American population breeds within the boreal. 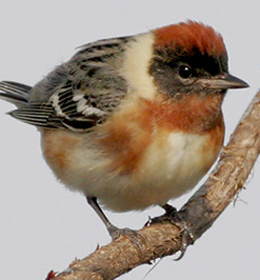 It is the breeding ground for 80 to 240 million birds of more than 150 bird species, including the Olive-sided Flycatcher, Blackpoll Warbler, Smith's Longspur, White-tailed Ptarmigan, and Rusty Blackbird. 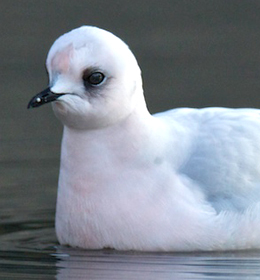 Learn more about the Boreal Birds Need Half campaign! 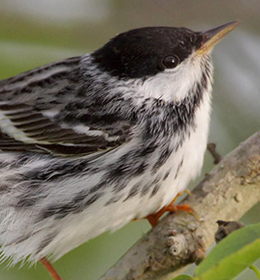 This information was provided by the Boreal Songbird Initiative. 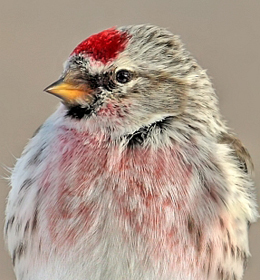 Listen to BirdNote shows about the boreal forest.